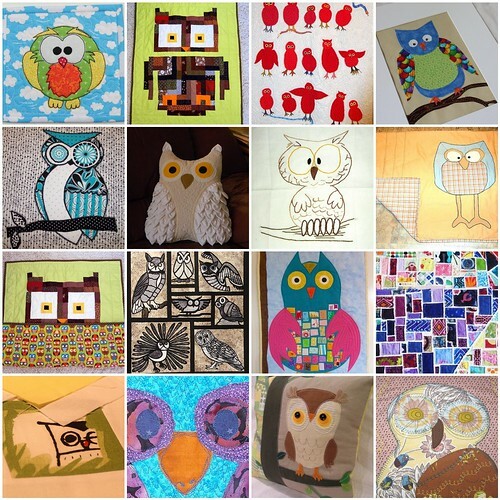 So I am in the Bee Sew Joyful Bee and January is my month and instead of giving a pattern, block, fabric, or anything, I decided to just go with the theme of "owls". I'm letting them to absolutely anything they want, using any medium they want as long as I can sew the edges into a quilt. I am so excited to see what these ladies come up with! This is my first time hosting a bee month so I'm trying new things... Thanks Melissa for hosting T.N.T. Thursdays!